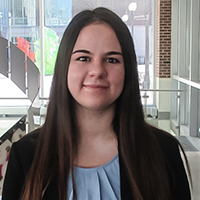 Rebecca Wipfler is one of four University of Illinois students recognized by the Goldwater scholarship program for their potential to contribute to the advancement of research in the natural sciences, mathematics or engineering. CHAMPAIGN, Ill. — Four University of Illinois students have earned national recognition for their potential to contribute to the advancement of research in the natural sciences, mathematics or engineering. 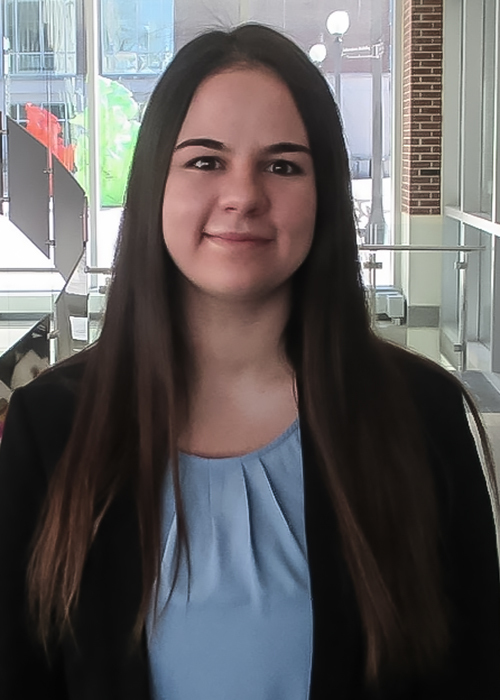 U. of I. sophomore Alayna Johnson was awarded a Barry M. Goldwater scholarship for the 2018-19 and 2019-2020 academic years, juniors Michael Toriyama and Rebecca Wipfler were awarded Goldwater scholarships for 2018-19, and junior Wesley Tung earned honorable mention for demonstrating leadership and academic promise in the fields of science or engineering. The Barry M. Goldwater Scholarship and Excellence in Education Program was established by Congress in 1986 to honor Barry M. Goldwater, who served 30 years in the U.S. Senate. The program provides a continuing source of highly qualified scientists, mathematicians and engineers by awarding scholarships to sophomores and juniors from the U.S. who intend to pursue doctorates. The Goldwater Scholarship, which provides recipients with $7,500 annually for tuition, fees, books or room and board, is the premier undergraduate award of its type in these fields. The 211 Goldwater Scholars for 2018-19 were selected on the basis of academic merit from a field of 1,280 mathematics, science and engineering students nominated by the faculties of colleges and universities nationwide. Additionally, 281 honorable mentions were named. Johnson, of Wayzata, Minnesota, is a sophomore in chemistry and in materials science and engineering. She aspires to explore the physics and chemistry behind organic materials, polymers and catalysts to investigate how various properties of these materials influence their usefulness in laboratory and industrial settings. In particular, Johnson is interested in optimizing materials used in industrial processes to reduce their environmental impact. Johnson began conducting computational chemistry research upon graduating from Wayzata High School. Johnson is part of both the Campus Honors Program and the James Scholar Honors Program. She volunteers to teach science to K-5 students at Robeson Elementary School in Champaign, and has shared her lesson plans for elementary school-aged enrichment programs throughout the state of Illinois, earning her recognition as a co-recipient of the Illinois PTA Volunteer of the Year award. 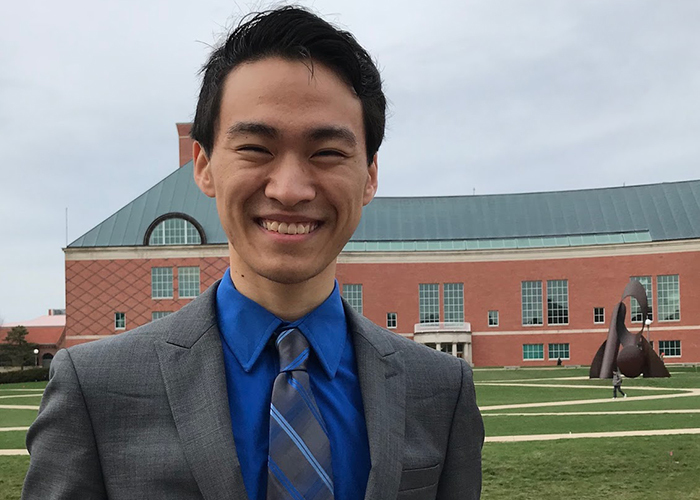 Toriyama, of Bloomingdale, Illinois, where he attended Glenbard North High School, is a junior in materials science and engineering and in applied mathematics. 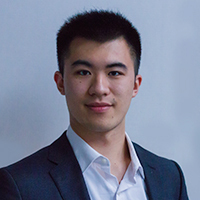 His scientific aspirations are twofold: to utilize material simulation tools to enhance the performance of energy-efficient materials, and to develop high performance computational methods to accelerate novel material discovery. He has been involved in research since his freshman year at Illinois, modeling ion-induced quantum dot formation. Toriyama also has explored the field of graph theory, proving theorems on the topological evolution of graphs and how it relates to the graph’s spectral description. He also investigated the effects of impurities on the electronic properties of solar cell materials at Argonne National Laboratory. Wipfler, of Metamora, Illinois, is a junior in molecular and cellular biology. 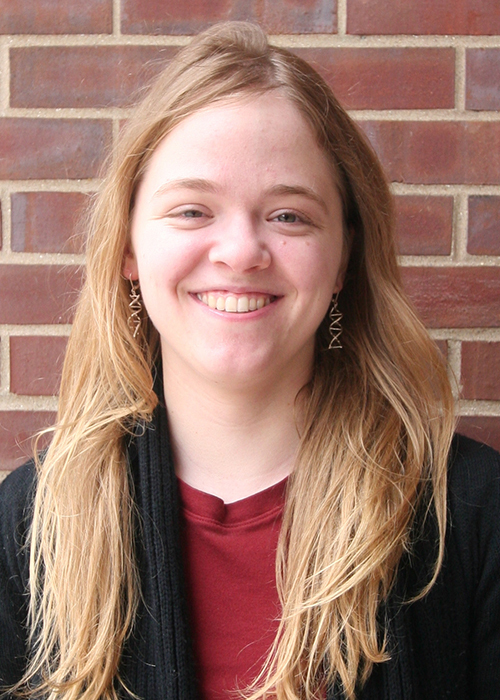 A graduate of Metamora Township High School, she began her research career in high school with the National Center for Agricultural Utilization Research, a U.S. Department of Agriculture laboratory. 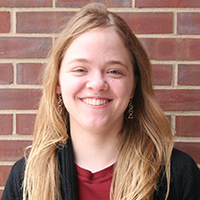 Once arriving at Illinois, Wipfler began working at the NASA Astrobiology Institute on extremophile microorganisms within the domain archaea and has continued this work throughout her studies. 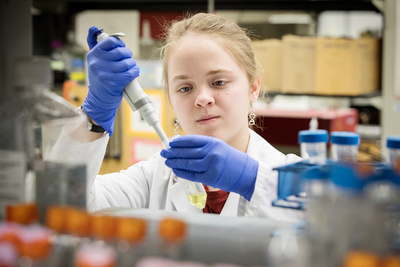 She also spent a summer as an undergraduate research fellow at Mayo Clinic, investigating potential treatments for neurodegenerative disorders, and was selected as an Ocean Science Intern aboard Exploration Vessel Nautilus. Wipfler’s career goal is to conduct research combining field studies and laboratory research within the field of extremophiles. Tung, of Normal, Illinois, is a junior studying molecular and cellular biology. He desires to generate personalized therapies to combat a wide variety of cancers. As a student at Normal Community West High School, Tung began working at a cadaver lab learning from other scientists and physicians. He has spent the past two years at Illinois studying the RNA-binding protein hnRNPI and how it prevents colorectal cancer. 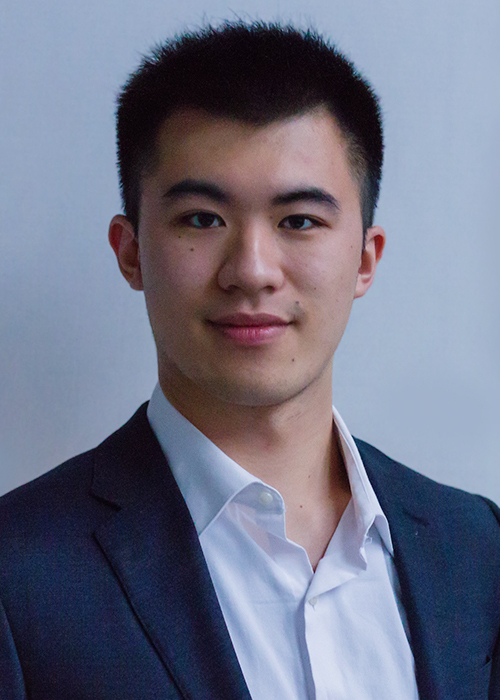 Tung also was awarded a summer internship at the National Institutes of Health National Institute of Diabetes and Digestive and Kidney Diseases. 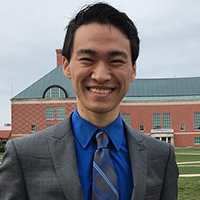 He is a member of both the Campus Honors Program and the James Scholar Honors program at Illinois; half of Tung’s credits have been earned in honors coursework while simultaneously spending 20 hours per week in his research lab. An avid saxophone and piano player, Tung has been active as a mentor for area high school music students. After pursuing an M.D./Ph.D., Tung plans to conduct translational research at a major research university or research hospital on how cancers can arise from disrupted signal transduction pathways and discover new drug targets to treat them.